Consumers expect recalls. But they won't be forgiving if a company does not handle them honestly, especially in the age of social media hyper-transparency. Consumers expect recalls. But they won’t be forgiving if a company does not handle them honestly, especially in the age of social media hyper-transparency. There are communications lessons to be gleaned from a recent rash of product recalls, ranging from child-seat manufacturer Graco Children’s Products to wearable technology company Fitbit to Honda. 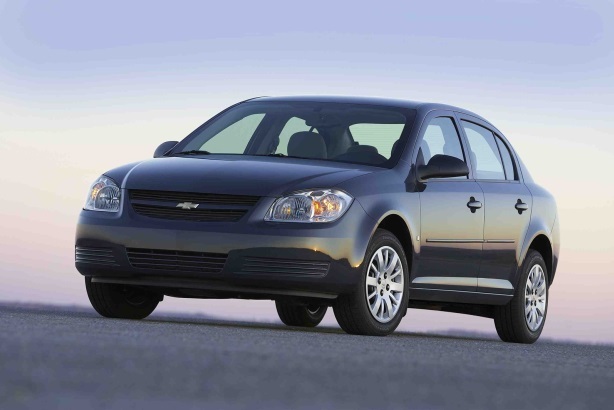 But General Motors’ recall of automobiles with faulty ignition switches is generating by far the most scrutiny because the automaker evidently knew about the defects to its Chevrolet Cobalt models for more than a decade. In a video broadcast to employees in response to the crisis, GM CEO Mary Barra said, "Something went wrong with our process in this instance and terrible things happened." The Justice Department is also investigating whether GM broke any laws by taking so long to recall 1.6 million vehicles. It may seem like common sense for a company to recall a product as soon as it knows something is wrong with it. Yet Gene Grabowski, EVP of Levick, says clients were often willing to consider avoiding a recall before the age of social media. "I had been in meetings with clients where a group of individuals would say, ‘What are the chances that we can mitigate this without a recall?’" he says. "But today, that is impossible to consider. We live in an age where you cannot hide anything." The ramifications for avoiding full disclosure during a faulty product scenario are significant. Toyota is expected to pay $1.2 billion and admit that it misled federal authorities as part of a settlement with the US Department of Justice stemming from a 2010 recall to fix potentially faulty accelerator pedals. Some media reports have speculated that the Toyota settlement could provide a blueprint for how the federal government could deal with GM. Grabowski advises companies to approach a recall with the understanding that the response is more critical than the crisis itself. "Consumers know and accept there will be recalls in the 21st century," he points out. "They won’t judge a company on the recall but on how well they manage it." In that regard, he says GM has handled itself well given the circumstances. One smart move by the company was to appoint attorney, Anton Valukas from law firm Jenner & Block, to lead an internal investigation into the matter. "GM has created a method of dealing with this that takes it somewhat outside of the company and, perhaps just as importantly, puts a face on it," adds Grabowski. "A lot of companies miss that point. They will say they are looking into it but won’t say who is looking into it. You have to assign responsibility and personify the process." "Barra has put her name and reputation on the line when she committed that GM doesn’t do business like that anymore," he explains. "That is a brave statement for a CEO to make, but in this case it is probably essential." Joe Baerlein, president of Rasky Baerlein Strategic Communications, says clients often don’t want to go public about a recall until they have all the facts. "But that creates a consumer perception that they’re hiding something or not taking it seriously," he says. "Consumers will understand there is some complexity to the problem, especially if it is a large multinational company with multiple products." He adds that the video in which Barra apologizes will go a long way to restoring good faith. "She personalized the situation ‘as a mother with children,’ announced a new review process, and pledged to cooperate with federal agencies," Baerlein says. "She also stated how good GM cars are today and articulated how her team is working quickly to solve the problem, and referenced the ‘new GM.’ I thought this was executed very well, and she came across as trustworthy and sincere." Graco is another company that has come under fire from government regulators. Last month, it recalled 3.8 million child car seats and this month added 403,000 more because the harness buckles can get stuck. But government agency the National Highway Traffic Safety Administration wants Graco to add another 1.8 million infant seats to the recall since they have the same buckles. In a statement, the company countered, "Graco SnugRide infant car seats are excluded from this recall because they are uniquely designed to detach from their base for quick release if needed." The company also maintains in a statement that the defective latches are still "safe and effective in restraining children." Kristen Sharkey, EVP at Makovsky, says this is exactly the kind of situation companies should avoid. She says an effective product-recall strategy should include cooperation with government agencies. As well, Graco should have clearly communicated to all stakeholders why some products were included and others were not at the beginning of the process, she adds. "Instead, Graco finds itself in round two with a government agency – and the media. Why not take responsibility the first time around and explain yourself thoroughly. That way you don’t find yourself in the media again six weeks later," explains Sharkey. She says that is especially true in recalls that involve human safety. "It is one thing when something such as a computer is recalled because the defect won’t hurt anyone," Sharkey adds, "but when you are talking about the safety and security of family members, that is when you really have to ratchet up communications through all of your channels." That includes social media, where Graco has been inundated with posts on its Facebook page from customers frustrated by how long they’ve had to wait for the replacement buckles. The company has responded with posts that invite customers to email them about the status of their replacements. Russ Williams, SVP of crisis and issues management at Cohn & Wolfe, says companies can avoid some of the heat on social media by leveraging data-based marketing practices into their recall response. "Targeted communications that can tie a recall item to the date it was purchased and provide greater certainty that the product is included in a recall notice means that much of the guesswork is eliminated for consumers," he says. "That can help diminish the social media frenzy you see when general notices are provided for things such as child products." Williams adds that, "product recalls will still gain media attention, but a company may not take as much of a reputational hit if they are going above and beyond the prescribed notification process."